James Parker was born on February 4, 1920, in Houston, Texas. He enlisted in the Aviation Cadet Program of the U.S. Army Air Corps on November 21, 1940, and was commissioned a 2d Lt and awarded his pilot wings at Stockton Field, California, on July 11, 1941. His first assignment was as a B-25 Mitchell pilot with the 34th Bomb Squadron of the 17th Bomb Group at Pendleton Army Air Field, Oregon, from July 1941 until he was selected for the Doolittle Mission in February 1942. Lt Parker was the co-pilot on the ninth B-25 to take off from the aircraft carrier USS Hornet (CV-8) on April 18, 1942, and after bombing their assigned targets in Tokyo, Japan, the crew bailed out over China when their aircraft ran out of fuel. He returned to the United States in June 1942, and rejoined the 34th Bomb Squadron of the 17th Bomb Group flying the B-26 Marauder at Barksdale Field, Louisiana, from June to November 1942. Capt Parker deployed with the 17th Bomb Group to North Africa in November 1942, and flew combat missions from Algeria and Tunisia from December 1942 until he returned to the United States in October 1943. His next assignment was as a B-26 pilot with the 480th Bomb Squadron of the 336th Bomb Group at Lake Charles Army Air Field, Louisiana, from November 1943 to February 1944, followed by service as a B-26 pilot with the 357th Army Air Force Base Unit at Kellogg Army Air Field, Michigan, from February to September 1944. He served as a B-25 and P-38 Lightning photo-reconnaissance pilot with the 348th Army Air Force Base Unit at Will Rogers Field, Oklahoma, from September 1944 to July 1946, followed by service as Commanding Officer of the Base Service Squadron with the 45th Air Division at RAF Snetterton Heath, England, from July 1946 to January 1947. 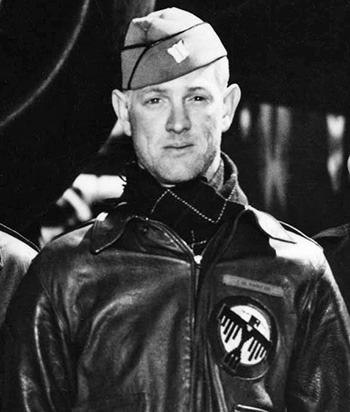 His next assignment was as Adjutant for the 18th Motor Transport Squadron in Germany from January to May 1947, and after returning to the United States he left active duty and joined the Air Force Reserve on June 26, 1947. Lt Col Parker retired from the Air Force Reserve on September 4, 1974. James Parker died on June 19, 1991, and was buried at the Restland Memorial Park in Livingston, Texas. For extraordinary achievement while participating in a highly destructive raid on the Japanese mainland on April 18, 1942. Lieutenant Parker volunteered for this mission knowing full well that the chances of survival were extremely remote, and executed his part in it with great skill and daring. 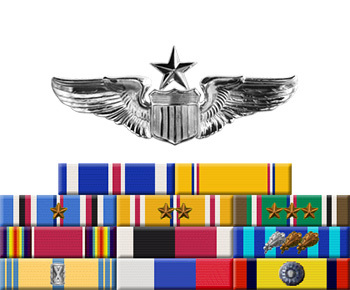 This achievement reflects high credit on Lieutenant Parker and the military service. 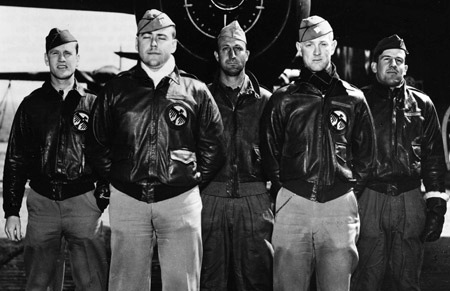 Crew 9 of the Doolittle Raiders, left to right-Lt Thomas C. Griffin, Lt Harold F. Watson, TSgt Eldred V. Scott, Lt James M. Parker, Sgt Wayne M. Bissell.